I just wanted to give you a little heads up about the ol shop. After this week, Friday night, to be exact, I won't be taking anymore customizable Christmas card orders. I'll still provide the photoshop templates but not the customizable cards. I want to take a bit of an online break for the month of December so I can focus my time and energies on my family and advent. And although I have loved working on your Christmas cards the last month and getting to know some of you better, the time has come for me to finish up orders and spend more time with my loves. I'll have a post here and there but for the most part, this little space will be quiet. That's the plan anyways! So, if you have been planning on ordering a card, you have two days left before I take them down. And just to clarify, you can buy the card now - even if you don't have your picture. Just send me the pictures when you get them and I'll take care it. 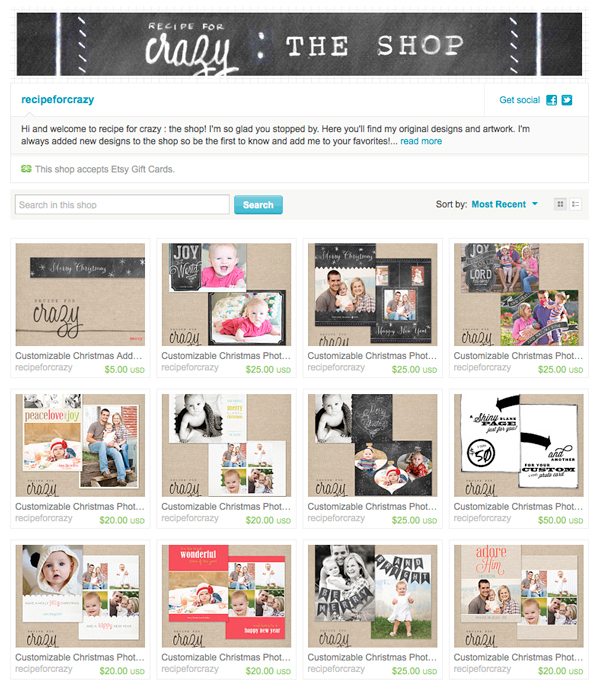 Okay, hurry over to the shop and get your card order in before you forget! Oh I just went on a mad etsy hunt trying to find you!!! Once I couldn't I searched and searched your sisters blog for this link-crazy I know. I was wanting to do my christmas card jpeg whatchamadoodle through you. If there's any way you see this in the next day or so and would love to just whip it up I'd lovvvvvve you. I have my picture ready in high resolution and it would be so simple to put with your chalkboard magic but i do totally understand if you can't or don't see this :) I need a major Internet break too! Need to soak up these holiday! Anyway if you see this my email is berry.family4@yahoo.com have a great week! !